Cold morning on the ridge we slept on. I unzipped my tent and cold air blasted in. “HOLY CRAP! ” I yelled, to nobody. “Ohmygod!” I hear as Gingersnap (Brian) unzips his tent and gets the Arctic blast in to his tent. We pack up quick and get on trail. Some serious climbs today to get to Kennedy Meadows, the gateway to the promised land, where water flows and animals are everywhere. We have talked about plenty of shade, not having to haul water and not spending the mid days in siesta to survive the heat. We want that, the land of milk and honey. 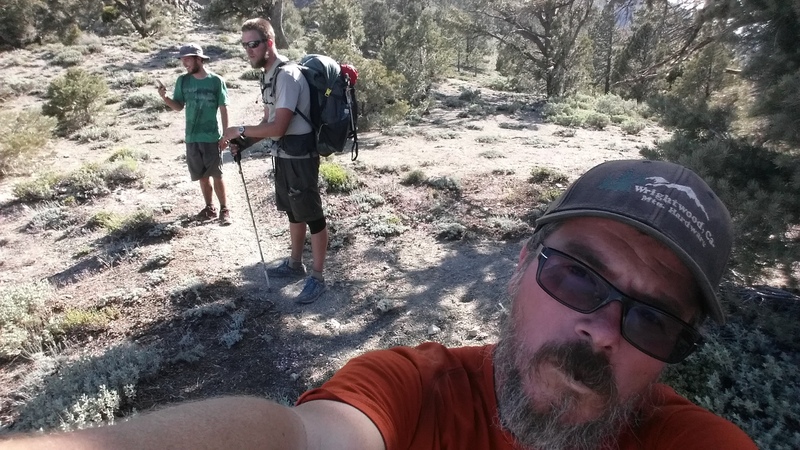 We talk about the hikers we hear about who hitched from Tehachapi to Kennedy Meadows with distain, they are cowards and cheaters and not thru-hikers. 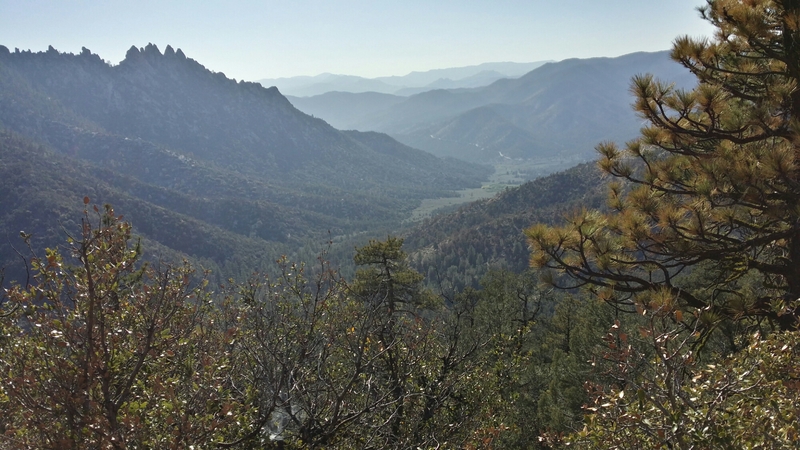 Part of this trail is to experience the transitions, that is the point of the thru-hike — it is part of why we do this and they didn’t cheat anyone but themselves. If you just want to see the good parts then take I-5 it is quicker. Their daily mileage in their blogs and their justifications will give them away, they missed some great parts. We stopped for a quick snickers each and ended up throwing rocks down an embankment for twenty minutes which we turned into a game. 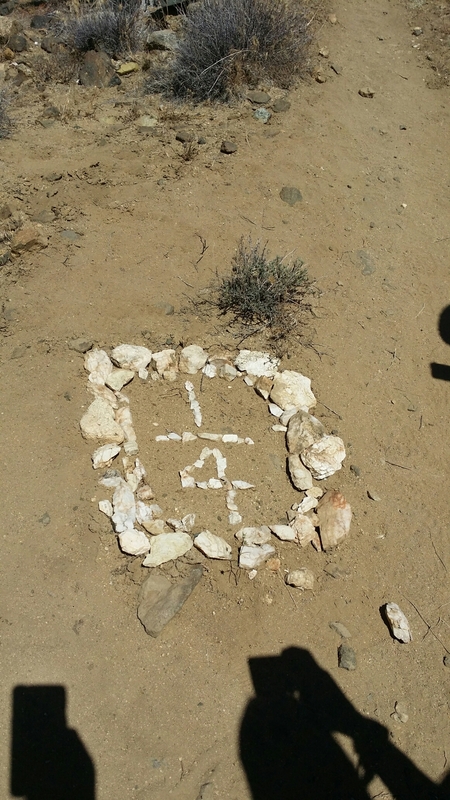 Then past the Joshua Tree spring which was a side trip we didn’t take because the spring has high levels of uranium and there are warning signs about it. Didn’t get a picture because it is a pointless side trip. We passed the quarter point today. 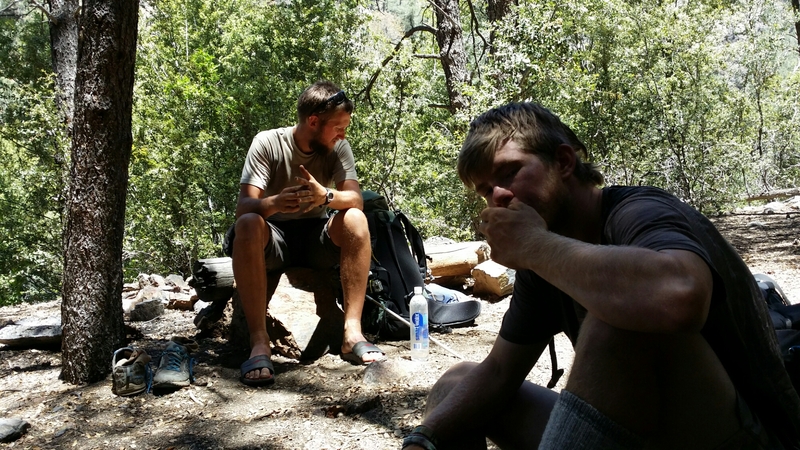 One fourth of the PCT is done … not sure how to feel about it. I am still trying to see what it is I am doing here on this long trail. I feel I just got my hiker legs, I can motor up anything now while talking and laughing. Stopped at Spanish Needle creek for a short siesta, we need to do miles today. Lots of miles. 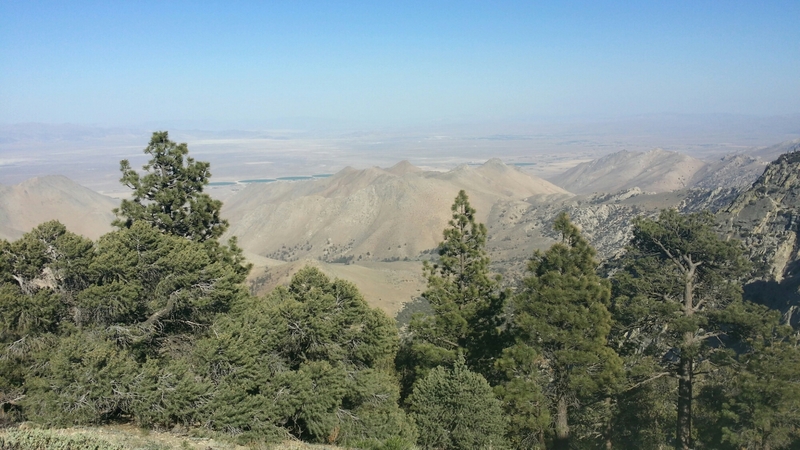 While hiking we got our final view of the desert on one side if a ridge and the Sierra on the other side. 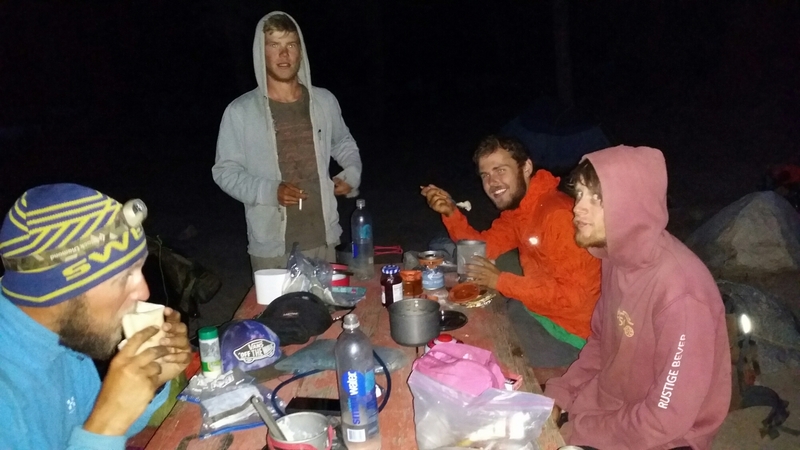 We jammed out the miles to Chimney creek campground and made diner, tomorrow we have 21 miles to Kennedy Meadows.